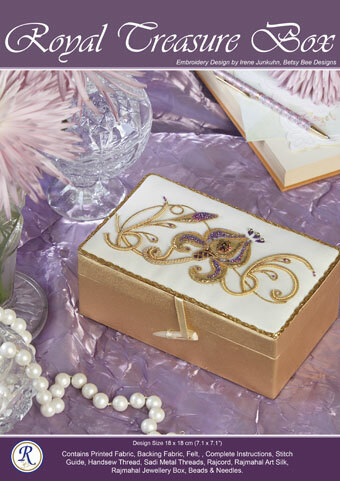 This stunning design to fit an oblong jewellery box makes a perfect gift. Enjoy using Sadi and metal threads- simple stitching but stylish results! Your kit contains: Art Silk Thread, Needles, Sadi Threads, Beads, Gold Rajcord, Printed Fabric, Stitch Guide & Instructions. 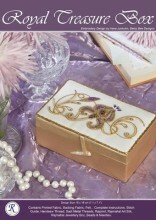 Click the button below to add the Royal Treasure Box-Kit to your wish list.